First off, let me state that I am not BJCP certified. 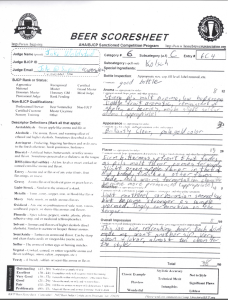 I’ve been through some guided tastings and I have a long way to go, but I wanted to share some thoughts on what I’ve found helpful when judging beers. Use a pencil or erasable pen for all judging sheets. Most important: each beer must be approached in a calm, analytical state of mind. 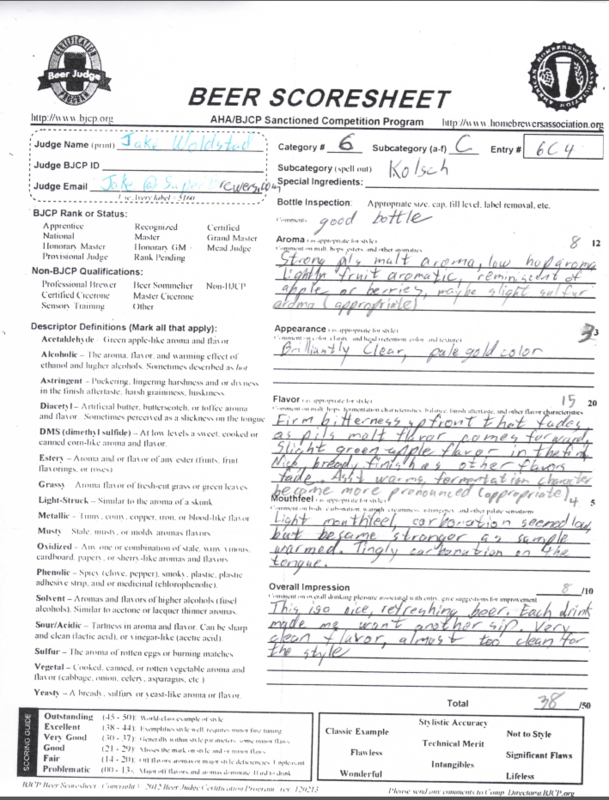 Make sure you look at the prompting words on the sheet to see if you recognize any of those characteristics in the beer. Once you have filled in all the sensory sections, then go back and look at how your observations fit within the guidelines for the style you are judging. Fill in your score based on your impressions for each category. Try to be polite and honest with your feedback. If you have to give negative feedback, try to phrase it in a way that is helpful and does not tear down the skills of the brewer.